Do you often find yourself totally caught up in negative thoughts without realising, almost as though you’ve been taken for a ride? Here’s a simple way to recognise what’s happening and learn how mindfulness helps you get off the negativity freeway. Imagine for a second that your brain is a complex network of 100 billion roads. Each road is one of your neurons or brain cells (yes, you have this many!). At the end of every neuron or road is a connector called a synapse which connects it to 10,000 other neurons. Thoughts travel like electrical impulses through this immense network of neurons and synapses like traffic on a freeway. Sometimes there’s serious congestion, sometimes the traffic flows easily and at other times it’s foggy and slow going. The synapses at the end of each road are constantly changing their connections with other roads, as you have different thoughts and feelings. The more you have a particular thought, the stronger that synaptic connection becomes. The traffic flows more quickly and easily along that route and you’re more likely to have that thought again. This is how you build connections in the brain, becoming better at things you practice. Imagine your thoughts are like buses travelling along the roads in your mind. Some carry happy and positive thoughts and some are negative, self-critical, judgmental or hurtful. The negative ones are completely normal and no problem if you are able to stand back and let the thought pass by. But often a thought comes along, like “I’m not good enough”, and instead of seeing it as just a passing thought, you believe it and think that it’s real and true. Without realising, you jump on that bus and let it take you for a ride. The more often you get on a particular bus and travel down that route, the stronger these connections in your brain become and the more likely it is you’ll travel that way again. This is wonderful if the thoughts are positive and help you to be more confident, happy and calm. But when they’re negative, they can undermine your self-esteem or make you feel upset, anxious or stressed. Evolution has primed us for threat and we are constantly scanning our environment for danger and problems to fix. You may have heard the saying: The mind is like teflon for good experiences and like velcro for bad ones. This goes for our thoughts too. We tend to obsess over our negative thoughts and too quickly let go of our positive ones. So how can you stop being taken for a ride? 3. You don’t have to get on the bus! Close your eyes for a moment and listen to the sounds around you, from nearby as well as more distant sounds, like the hum of traffic or the sound of the wind. Notice how these sounds arise, stay for a while and then go. Another thing that comes and goes are your thoughts, like buses pulling up at a bus stop for a moment and then leaving again. Here’s the thing: You don’t have to get on the bus! Practice staying on the roadside of your busy mind, by focusing on your breathing (see these 3 techniques), paying attention to the sounds around you or becoming aware of the sensations of your feet on the ground. As thoughts come along, let them pass by, just observing them as you sit by the side of the road, where it’s calm and peaceful. When you notice a thought coming along or realise that it has carried you away, you can say to yourself “I’m having the thought that I’m not good enough. It’s just a thought. Thoughts come and they go” and gently hop off the bus and come back to your breathing, back to the side of the road. The more often you practice doing this, the easier it becomes to see your thoughts for what they are: just thoughts. You also begin to notice the recurring patterns of your thoughts, and which roads you travel down frequently. As you become aware of them, you can even label them “Ah there I go, down the ‘I’m not good enough’ road again!”. Slowly, you realise that you are not your thoughts and you can begin to relate to them differently, choosing not to get on the bus, or hopping off when you notice you’re being taken for a ride. As you practice, you strengthen these connections and it becomes much easier. Practising mindfulness allows you to see your thoughts coming and going like traffic through your mind, clouds in a windy sky, or waves in the ocean. Not all of them are true or real. If they don’t serve you, step back and let them pass. Jodie is a qualified mindfulness trainer, lawyer and experienced consultant, workplace trainer, presenter and coach. Through specialised programs she works with individuals, teams, schools and corporate organisations to teach the skills of mindfulness and develop the self-awareness underpinning the qualities of mindful leadership. 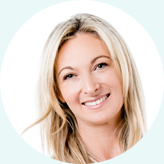 She runs regular Introduction to Mindfulness workshops, Mindful Learning programs for staff, parents and students at schools and tailored Mindful Leadership packages for corporates and other organisations.